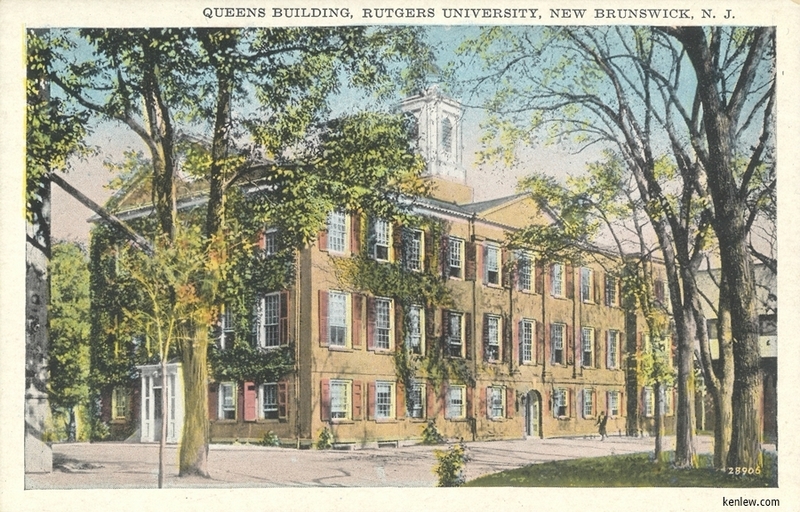 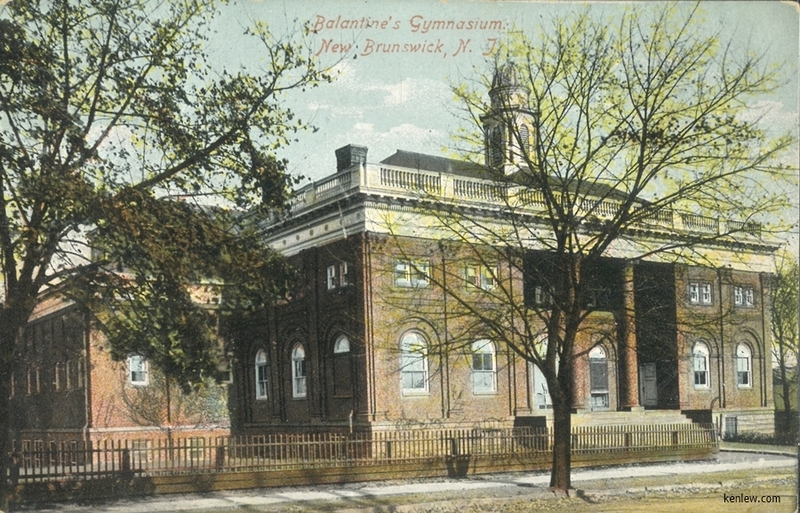 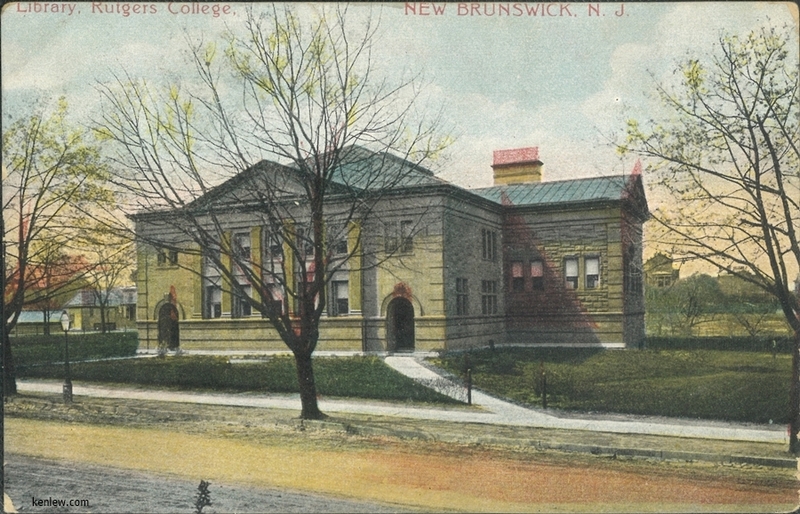 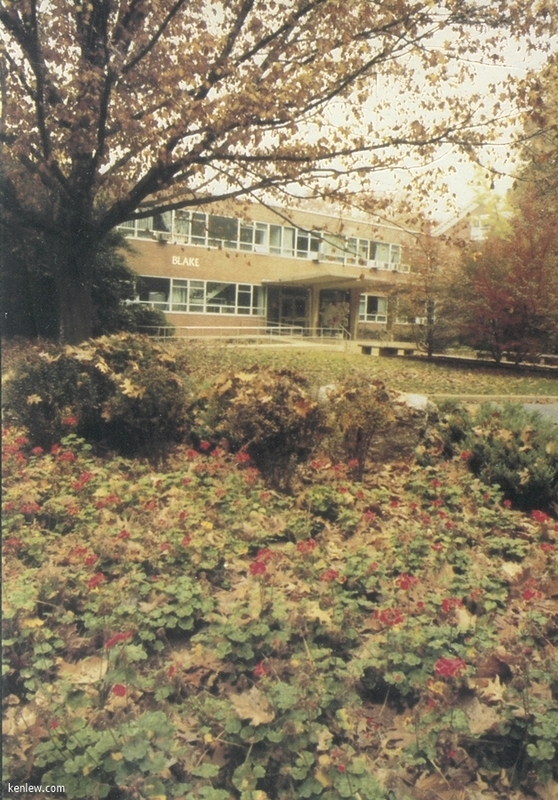 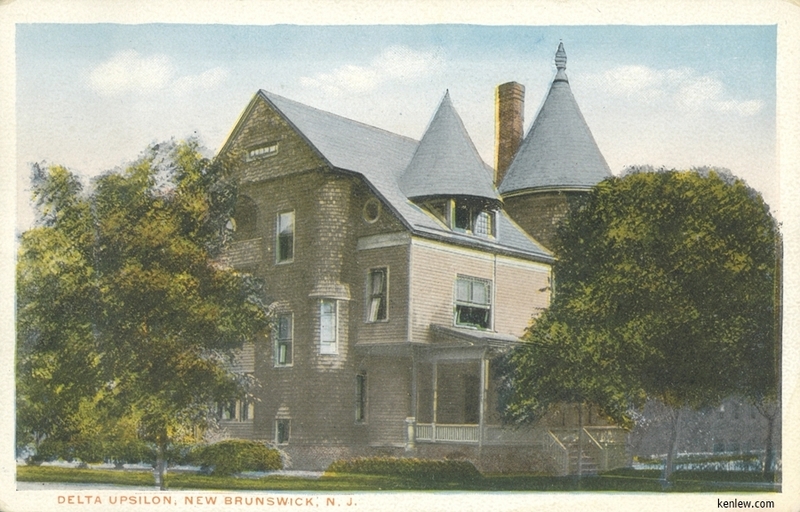 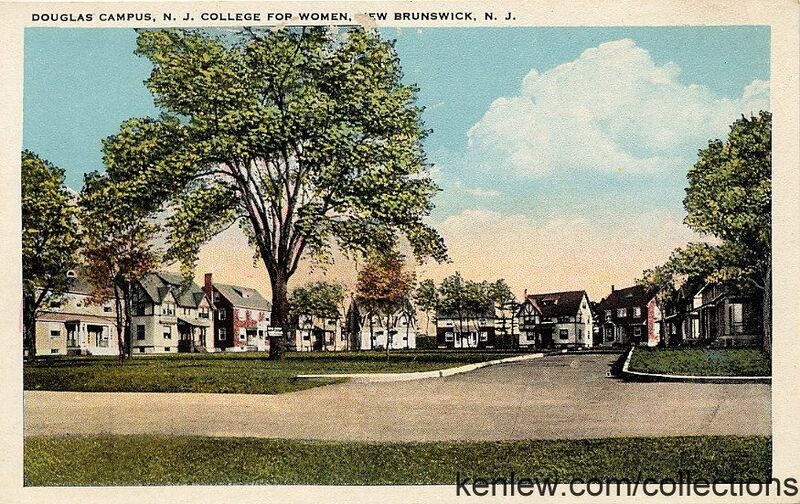 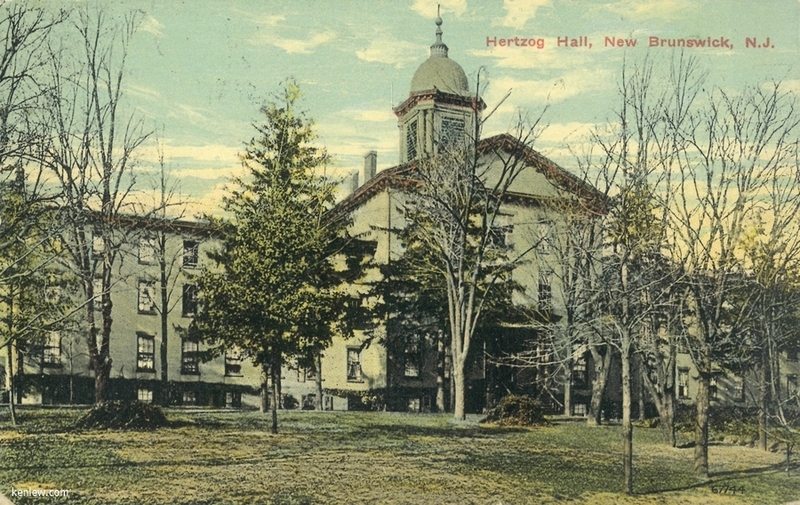 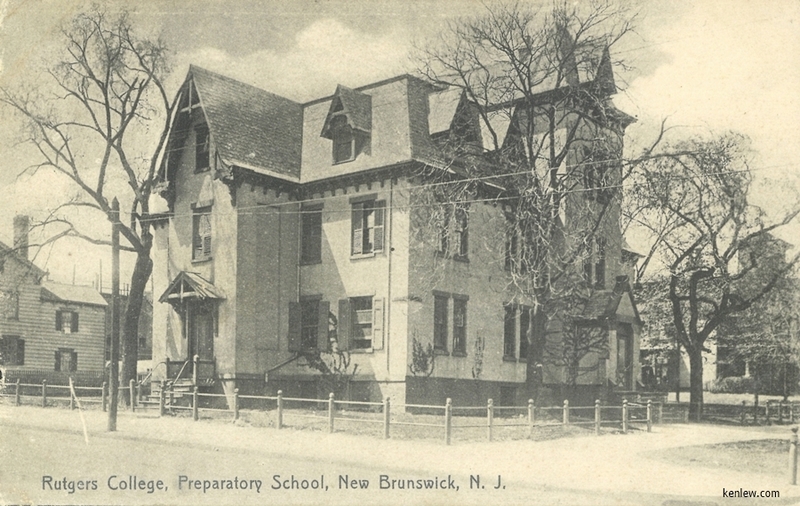 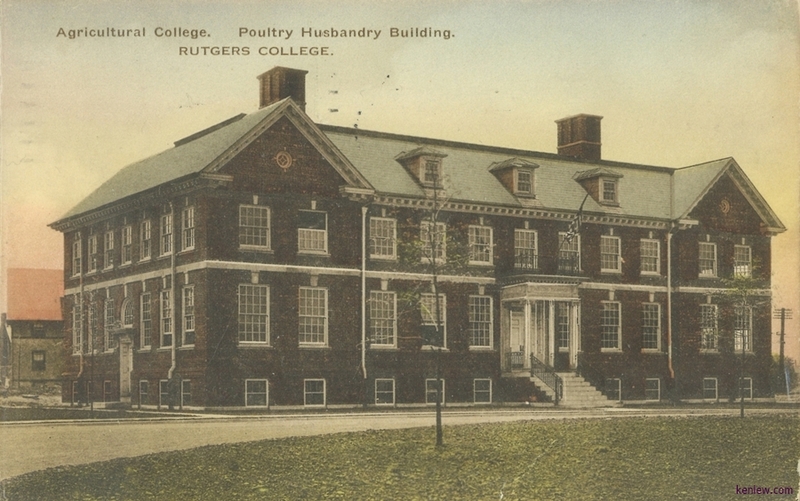 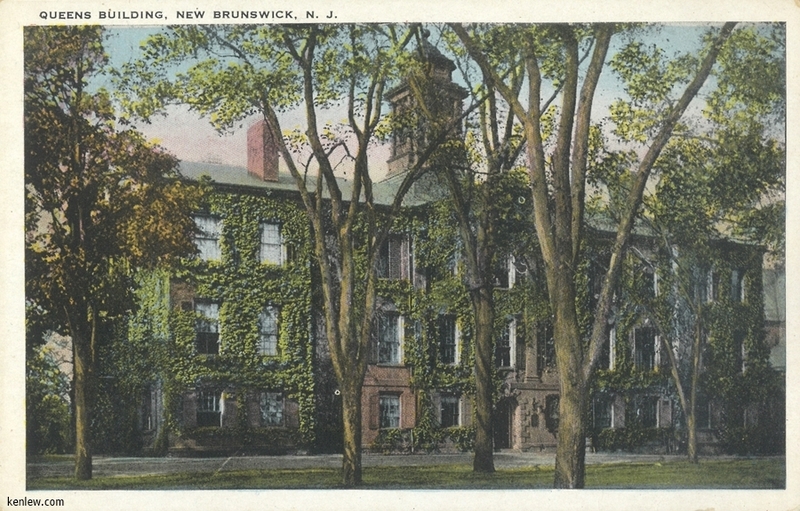 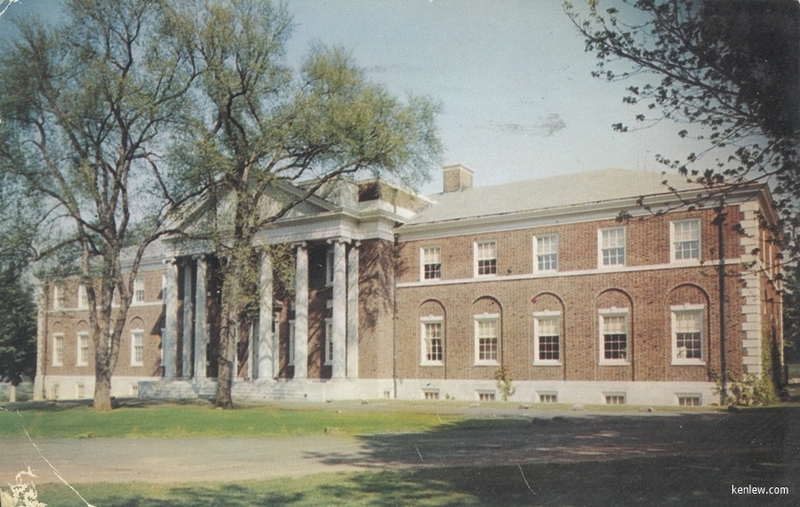 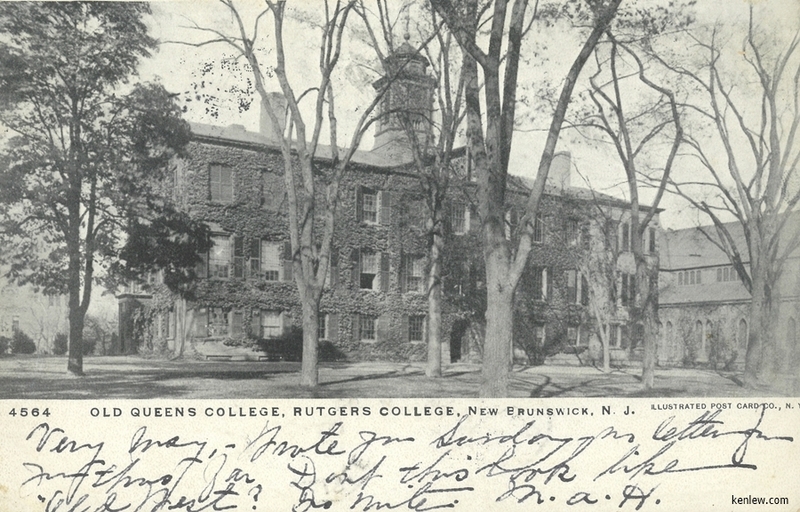 Queens Building, New Brunswick, N.J. Cooper Hall, N.J. College for Women, New Brunswick, N.J. N.J. 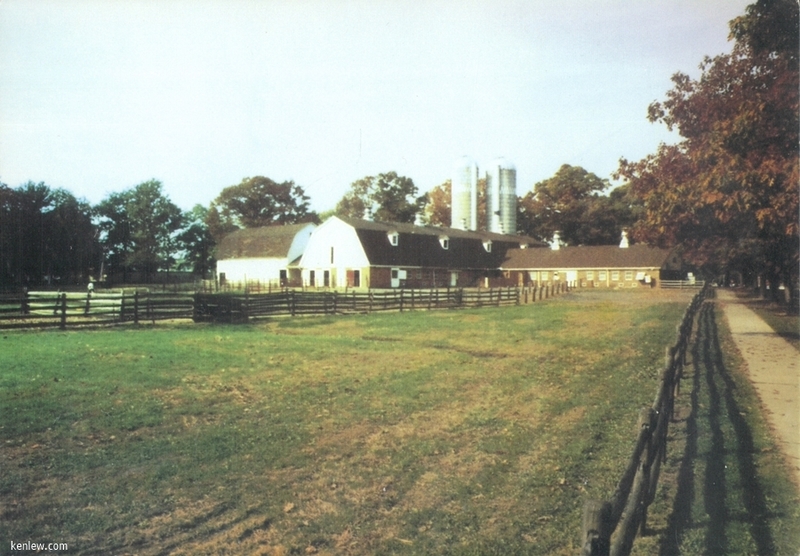 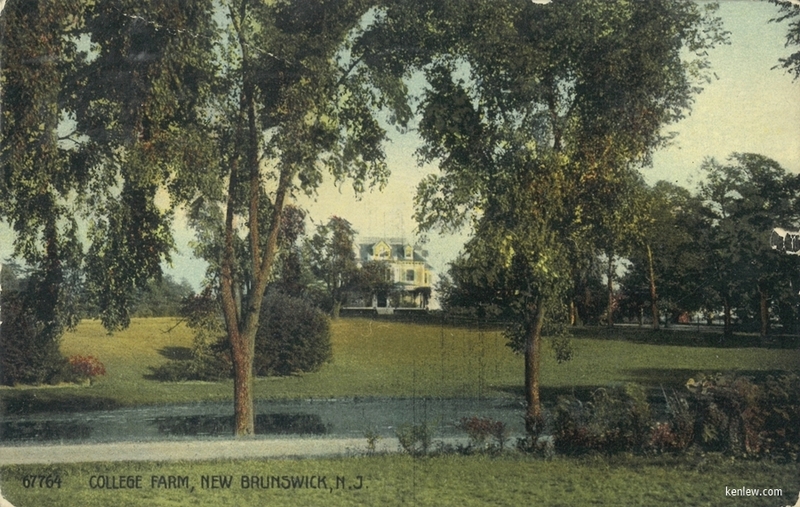 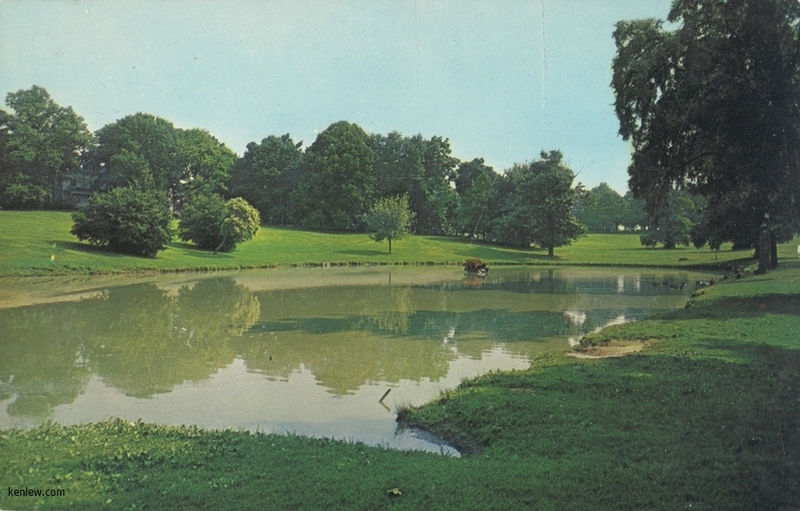 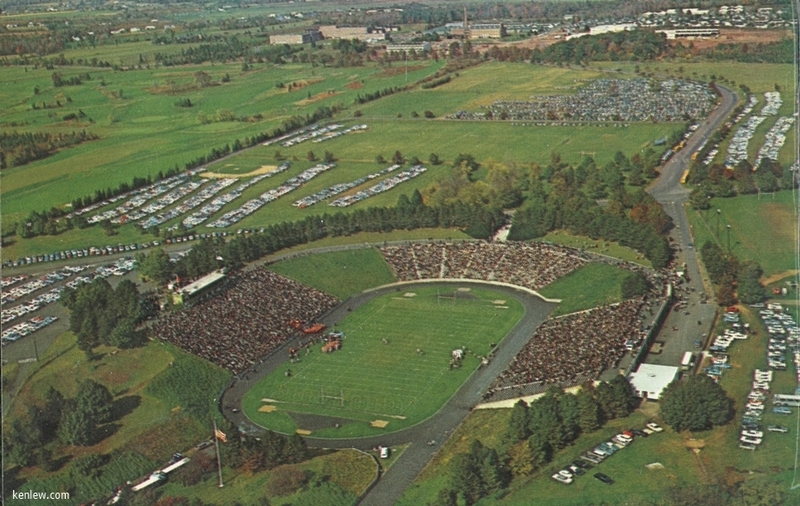 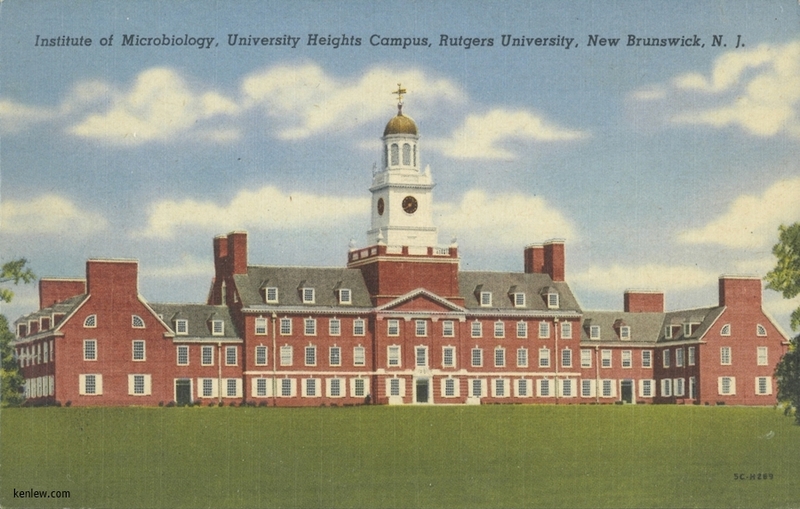 Experiment Station, Rutgers College, New Brunswick, N.J. 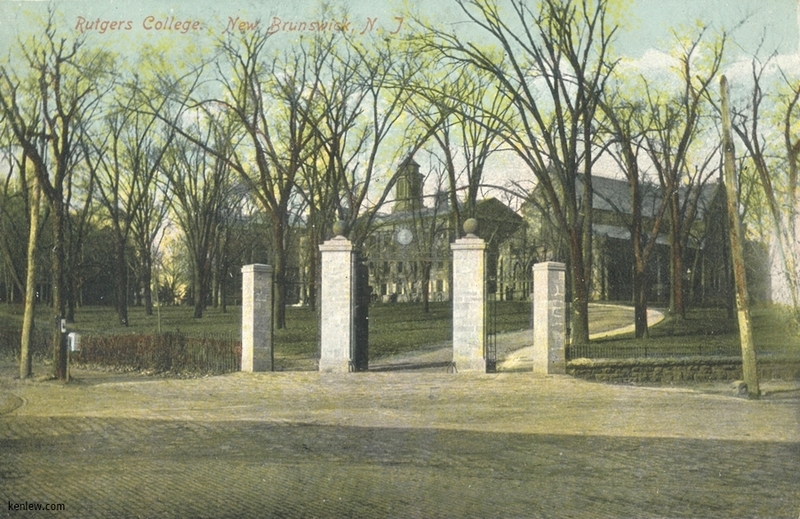 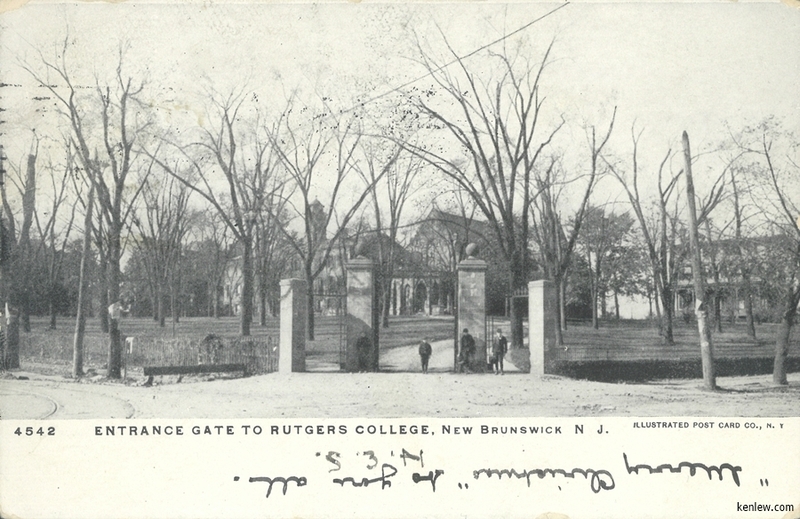 Entrance Gate to Rutgers College, New Brunswick, N.J. Vorhees Library, Rutgers University, New Brunswick, N.J. Ballantine Gymnasium, Rutgers. 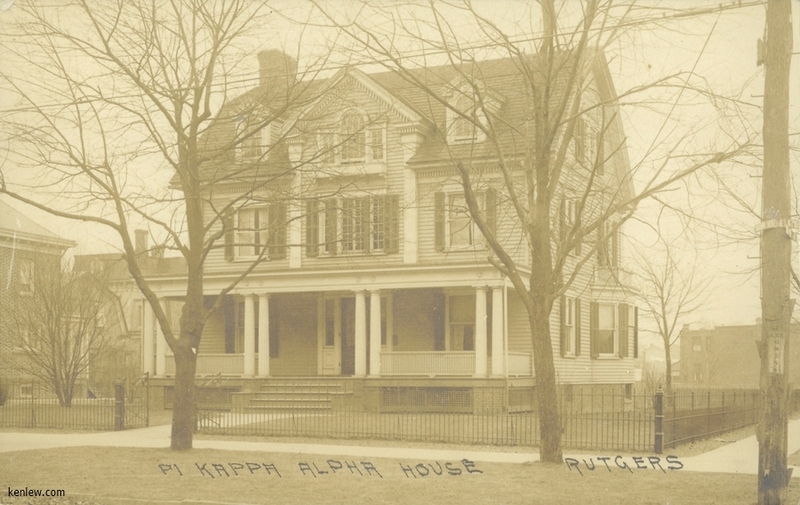 Pi Kappa Alpha House, Rutgers. 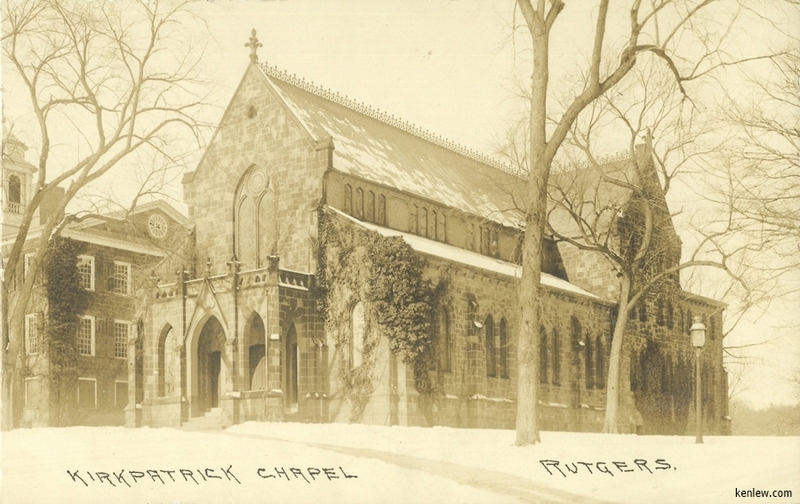 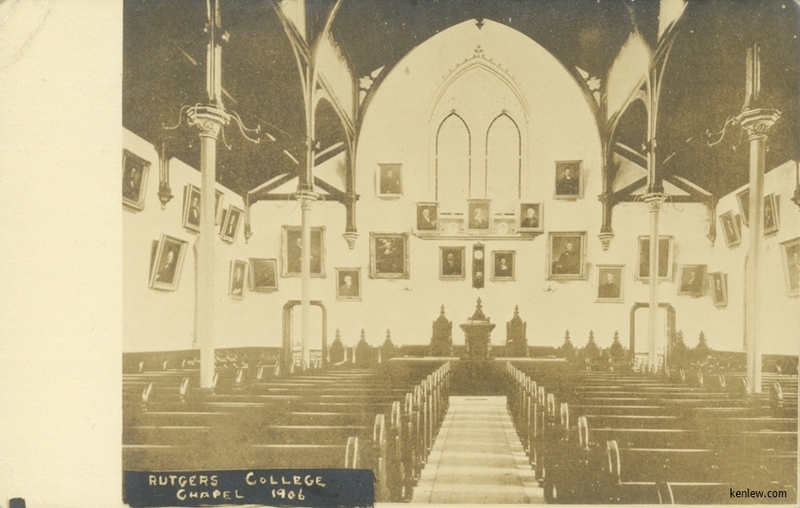 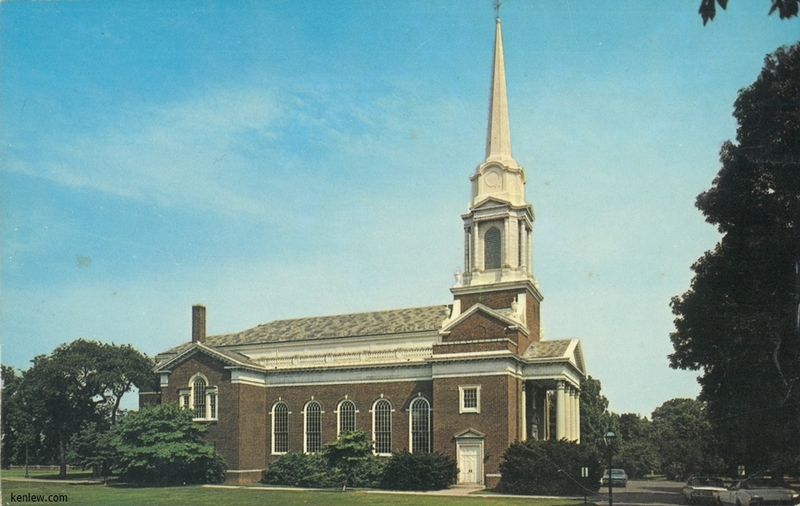 Kirkpatrick Chapel, Rutgers. 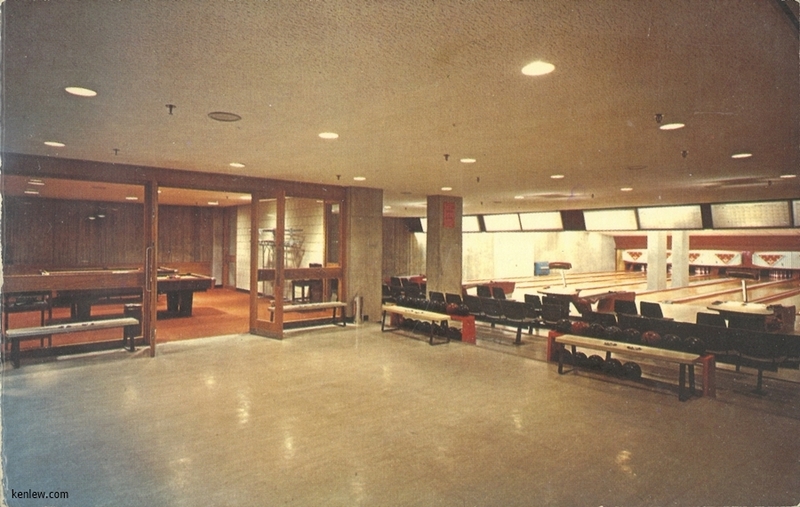 Hertzog Hall, New Brunswick, N.J. Rutgers Student Center Game Room & Bowling Alleys circa 1975 Gibbons Residence Campus, Douglass College, New Brunswick, New Jersey. 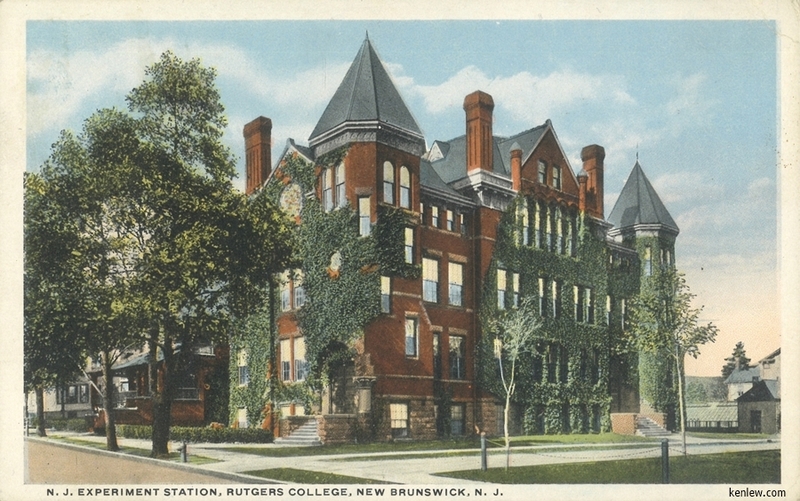 Rutgers, the State University Of New Jersey. 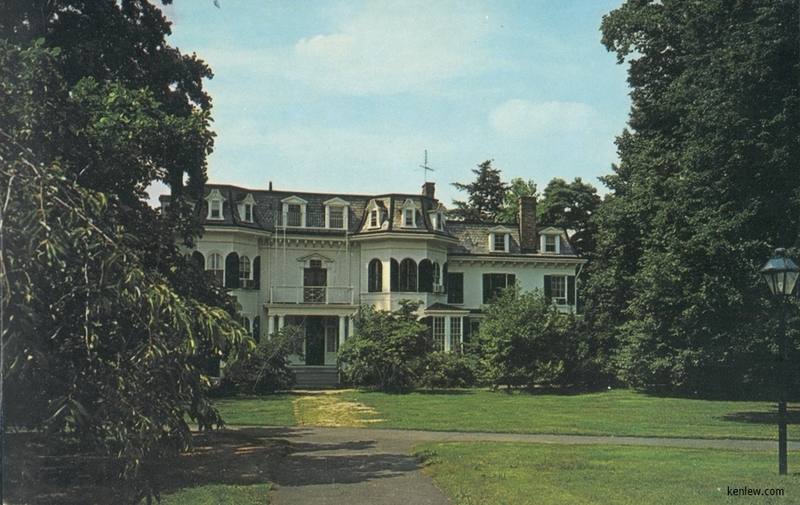 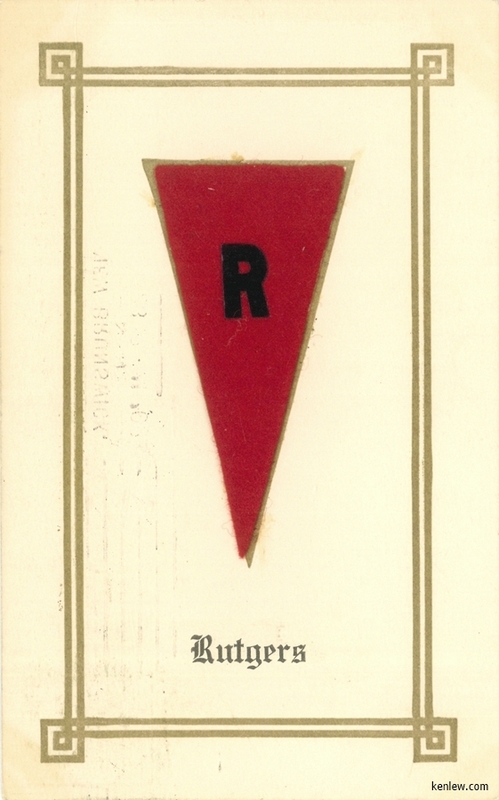 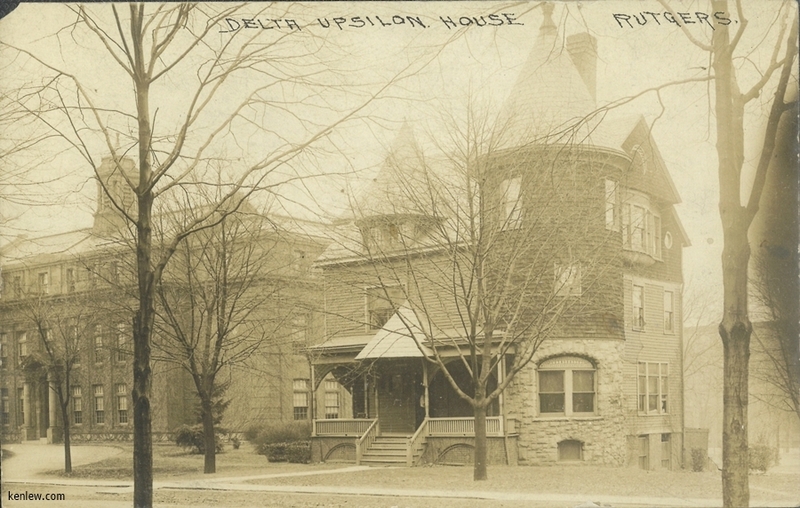 Rutgers College, New Brunswick, N.J.
Delta Upsilon Houose, Rutgers. 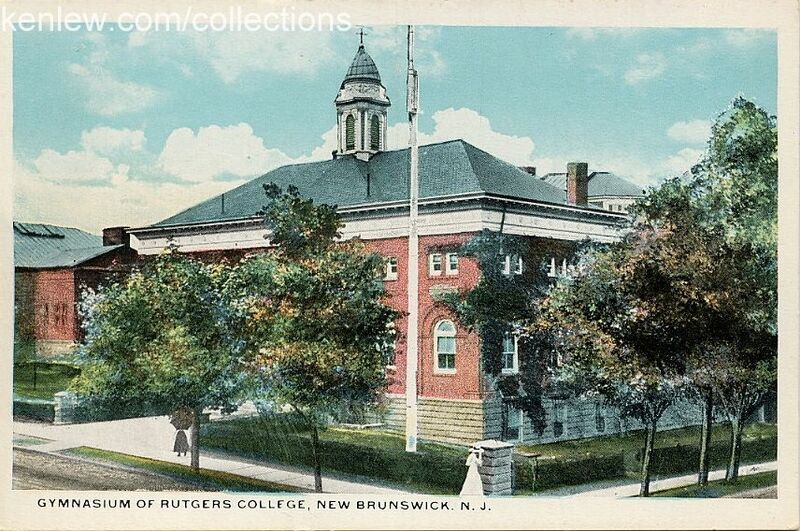 Rutgers, The State University, New Brunswick, New Jersey. 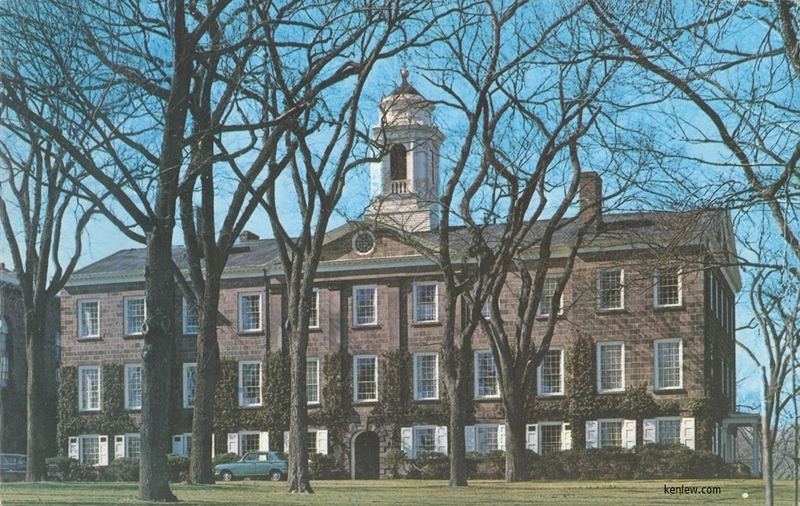 Frelinghuysen Dormitory. 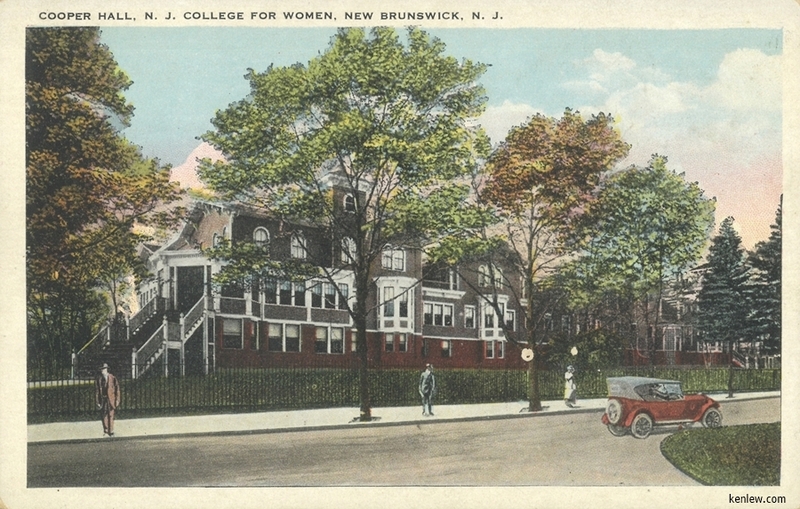 College Hall, N.J. College for Women, New Brunswick, N.J. Rutgers, The State University, New Brunswick, New Jersey. 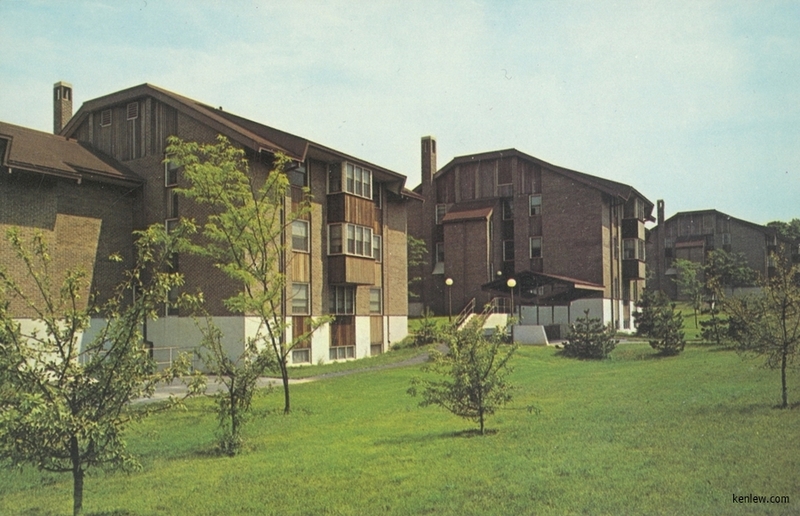 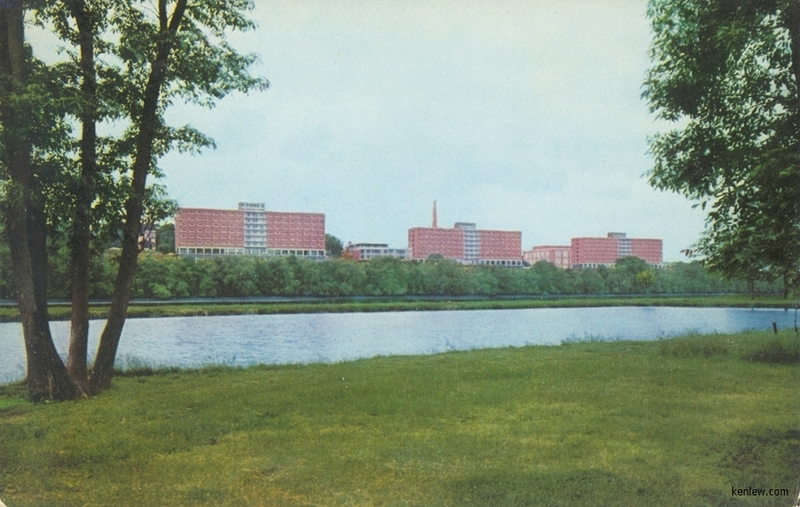 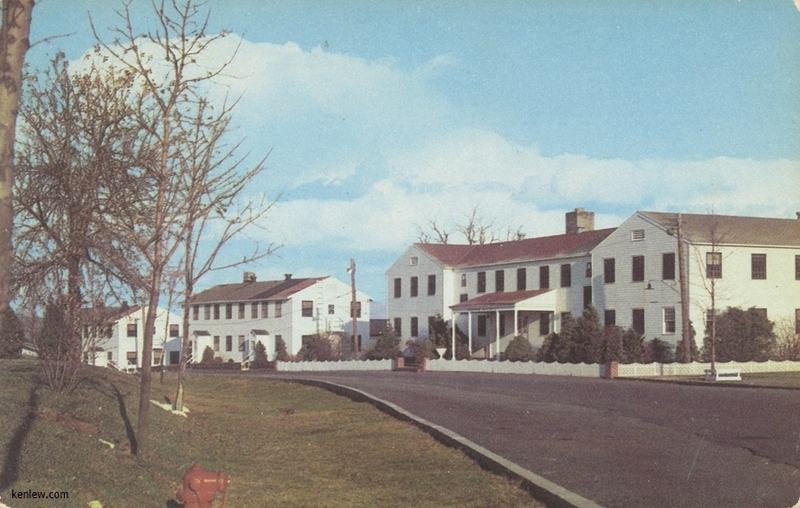 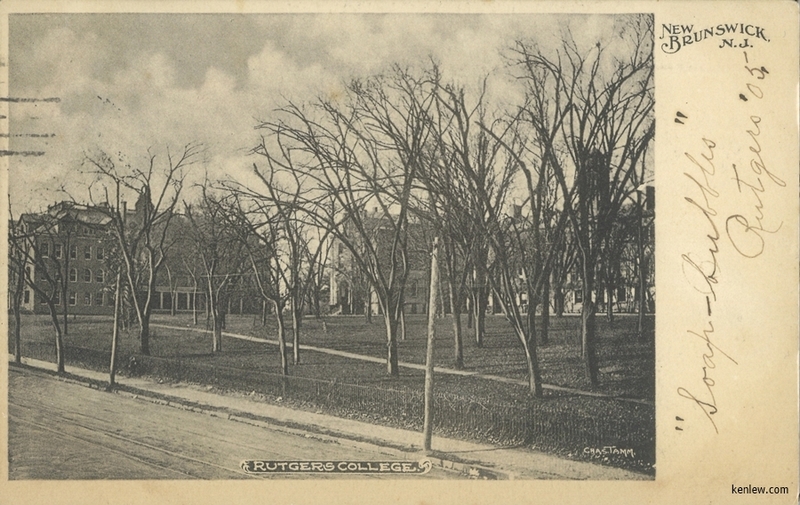 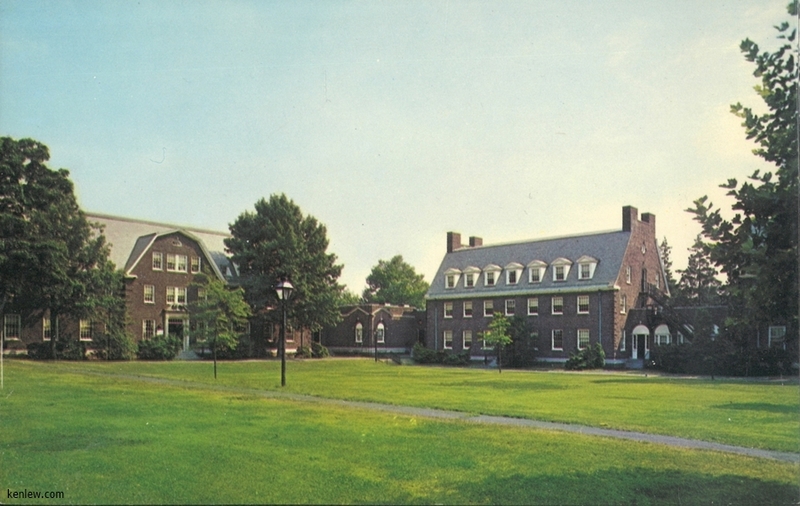 Livingston - Hardenburg and Freylinghuysen dormitories. 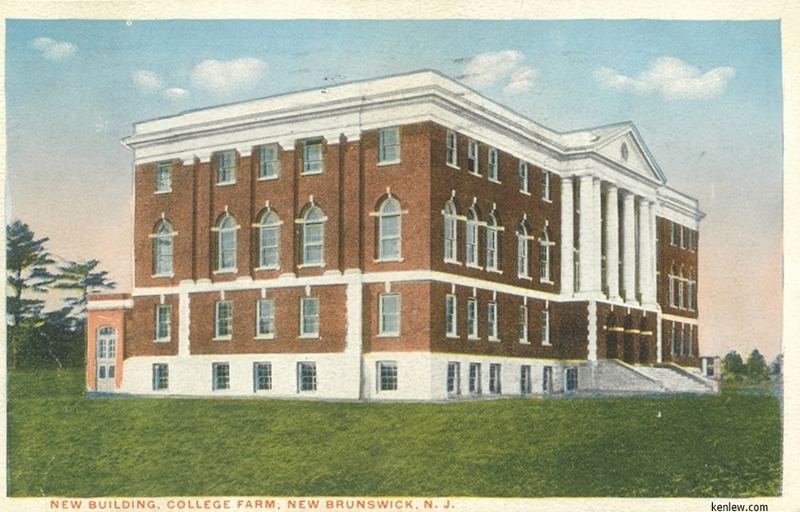 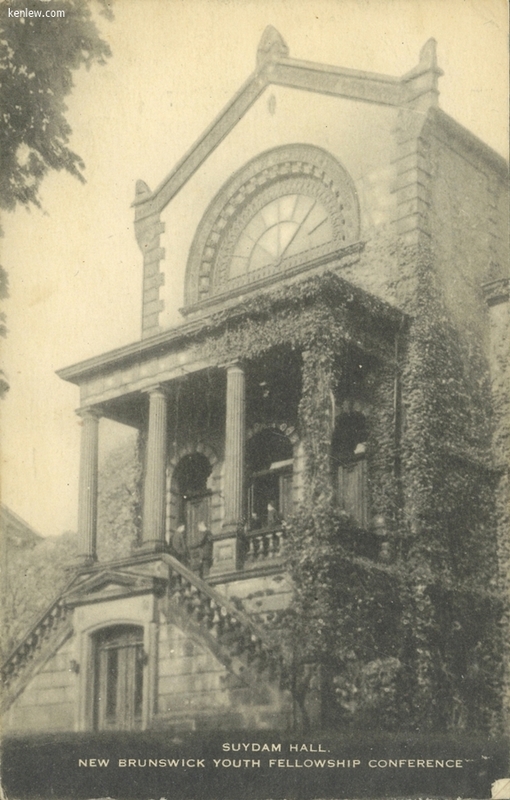 Library, Rutgers College, New Brunswick, N.J. College Farm, New Brunswick, N.J.
Suydam Hall, (N.B. 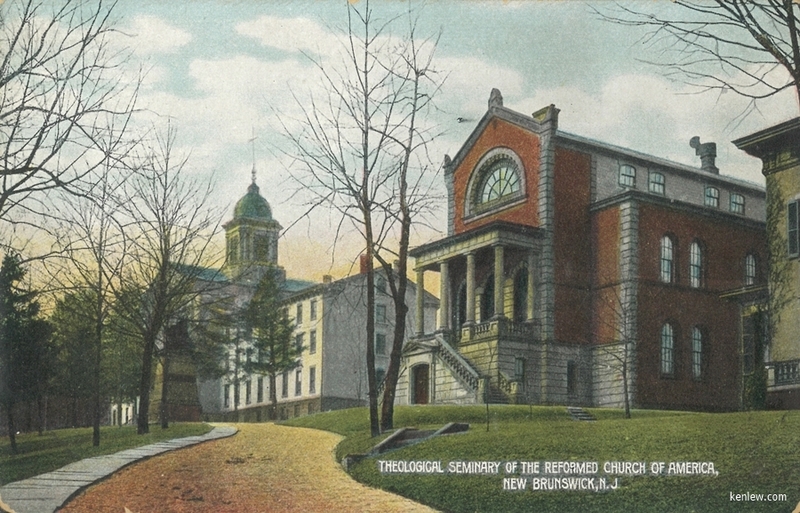 Seminary) New Brunswick Youth Fellowship Conference Thelogical Seminary of the Reformed Church of America, New Brunswick, N.J. 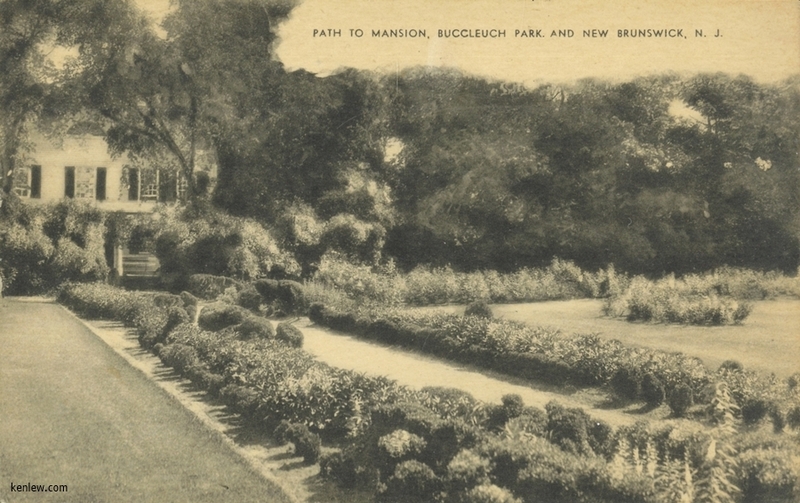 Path to Mansion, Buccleuch Park. 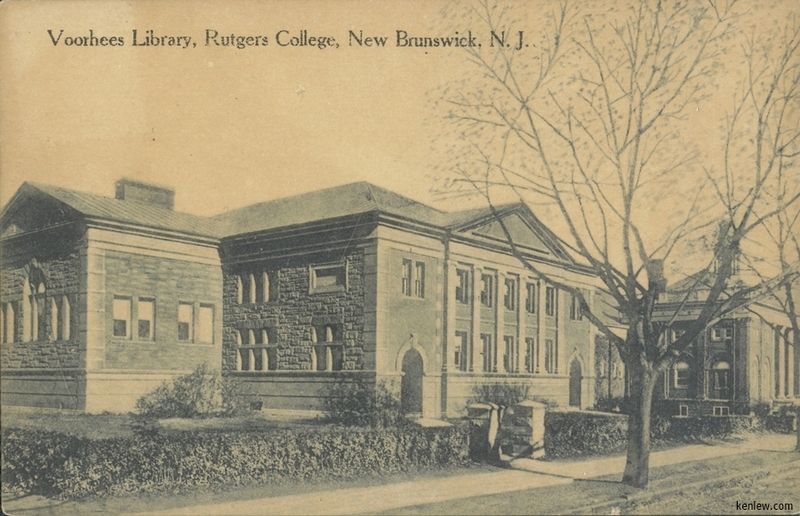 And New Brunswick, N.J. Rutgers Trap, New Brunswick, N.J. Rutgers College, New Brunswick, N.J. Rutgers College, Queen's Campus. 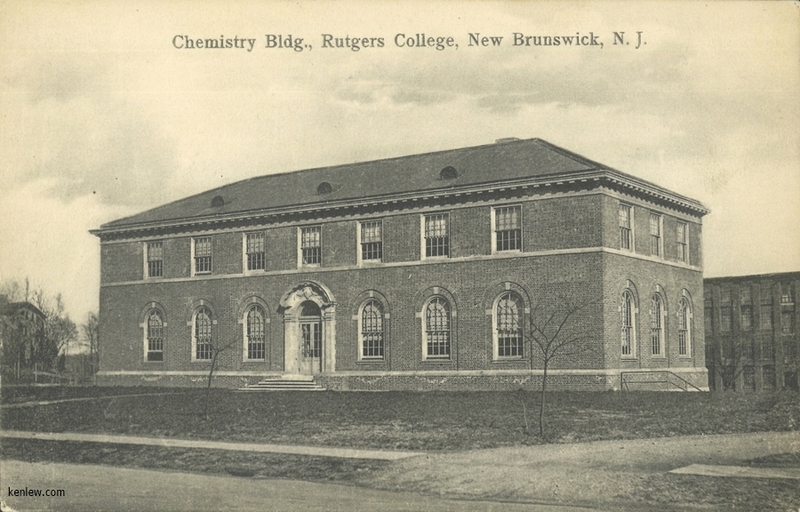 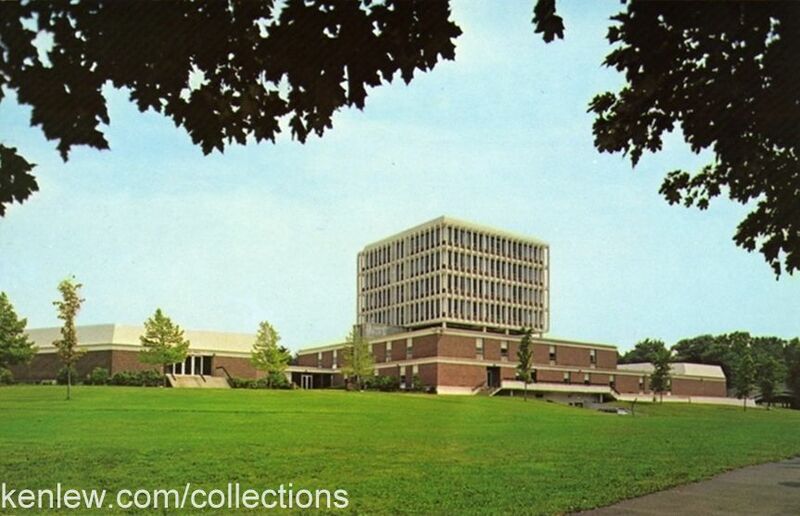 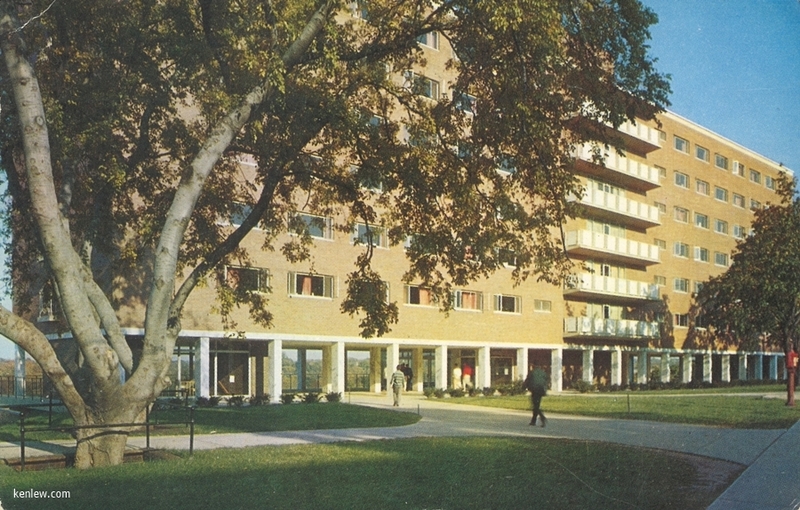 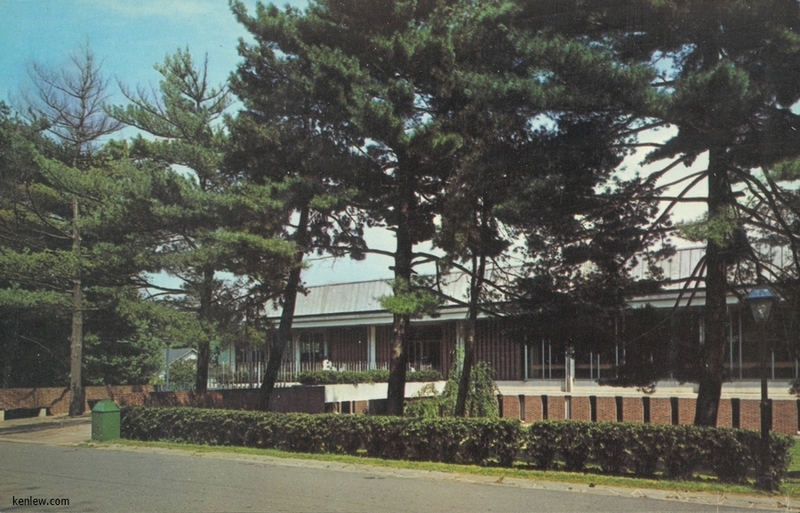 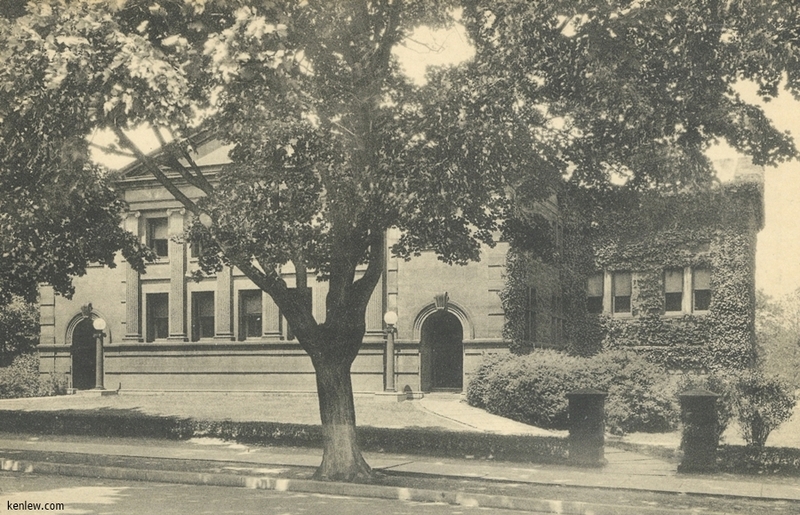 Voorhees Library, Rutgers College, New Brunswick, N.J. Chemistry Bldg., Rutgers College, New Brunswick, N.J. Douglass Campus, N.J. College For Women, New Brunswick, N.J. Institute of Microbiology, University Heights Campus, Rutgers University, New Brunswick, N.J. Music Building, Douglass College, New Brunswick, N.J. Rutgers University, the State University New Jersey. 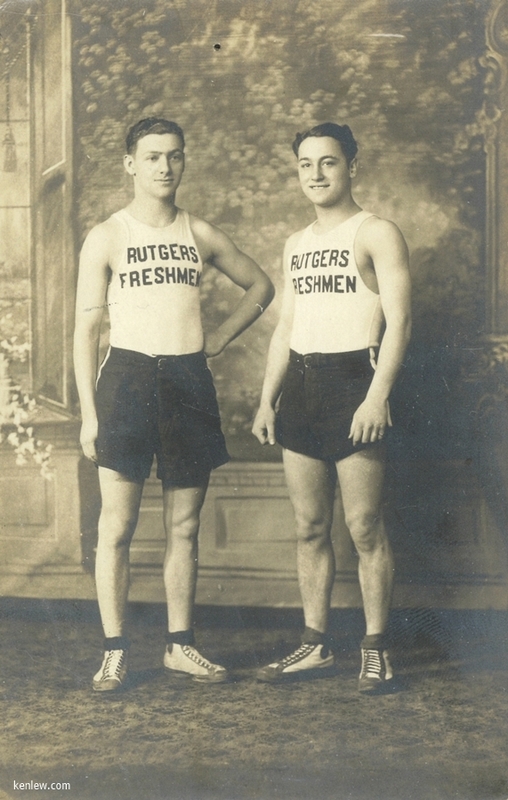 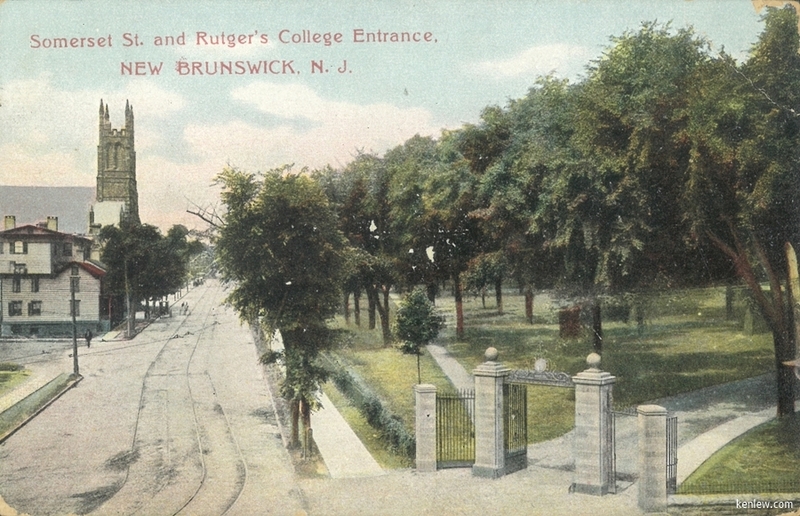 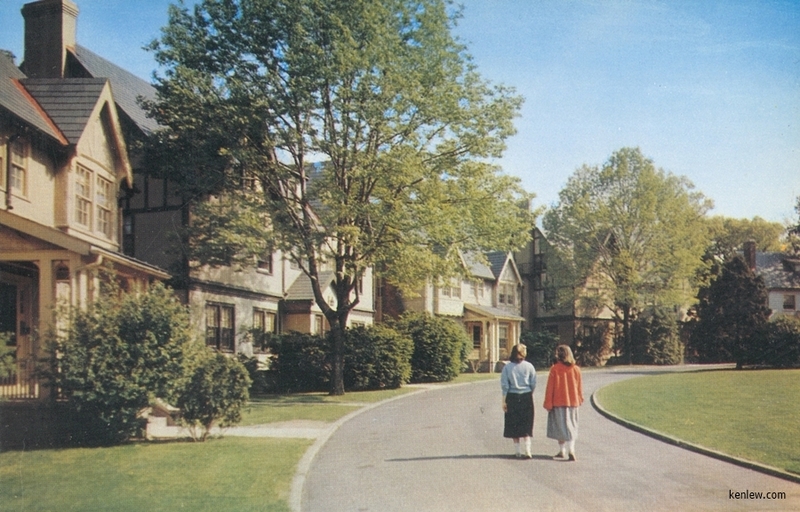 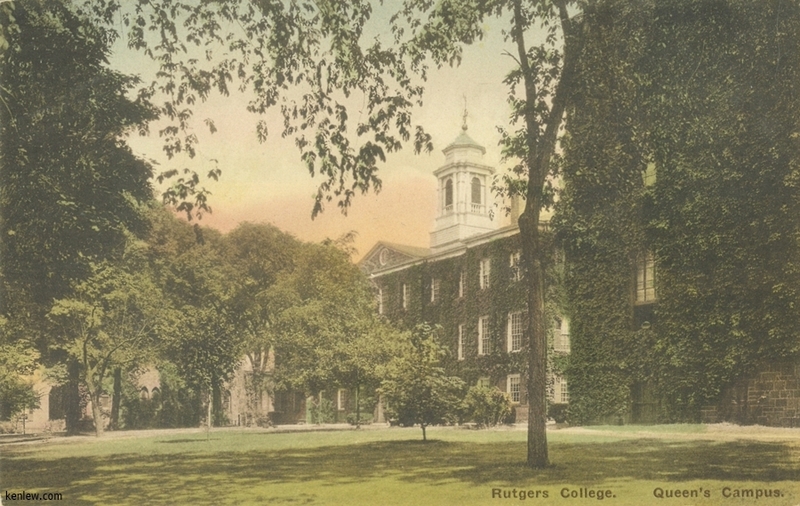 Somerset St. and Rutgers's College Entrance, New Brunswick, N.J. 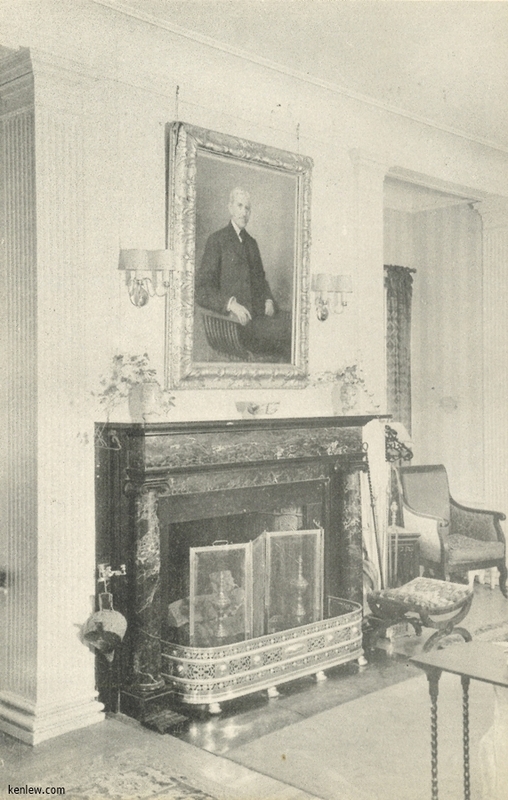 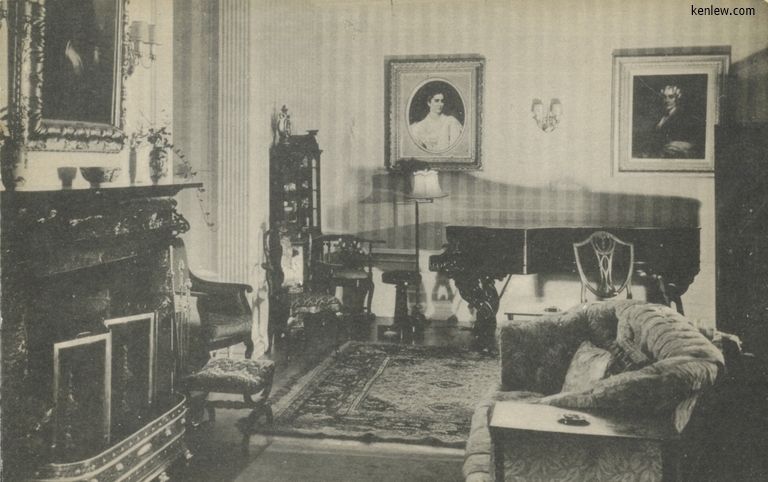 Drawing Room, Portrait of the Late James Neilson, Wood Lawn, Alumnae House, New Jersey COllege for Women, New Brunswick, N.J. 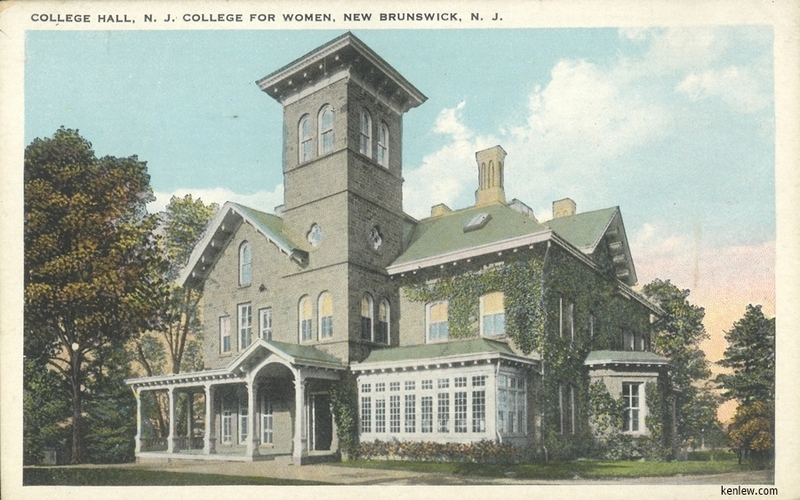 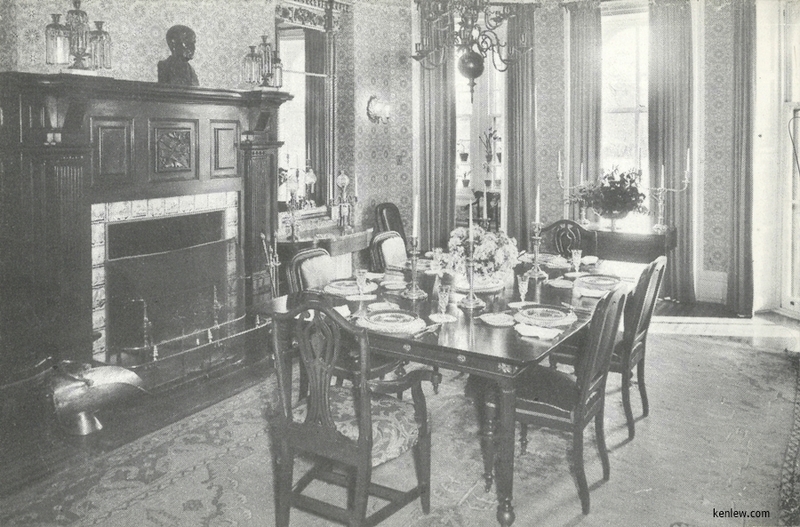 The Drawing Room, Wood Lawn, Alumnae House, New Jersey College for Women, New Brunswick, N.J. Neilson Dining Room, New Jersey College for Women, Wood Lawn, Alumnae House, New Brunswick, N.J. Delta Upsilon, New Brunswick, N.J. Queens Building, Rutgers University, New Brunswick, N.J.
Gymnasium of Rutgers College, New Brunswick, N.J. Rutgers College. 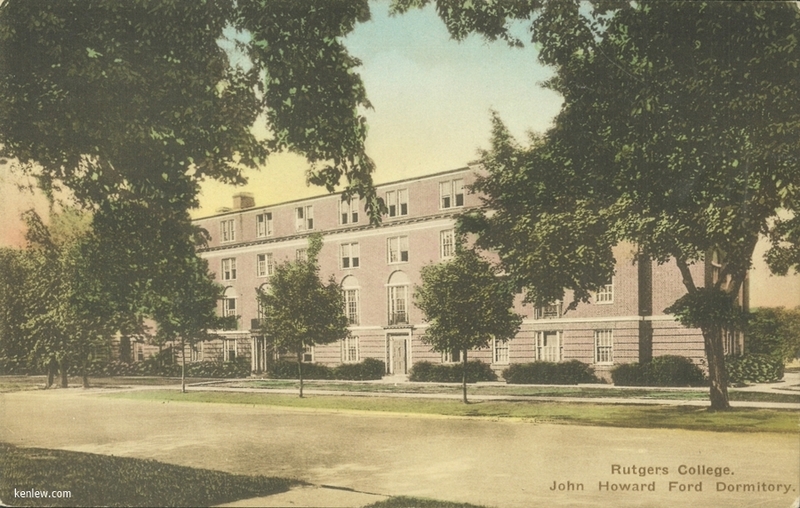 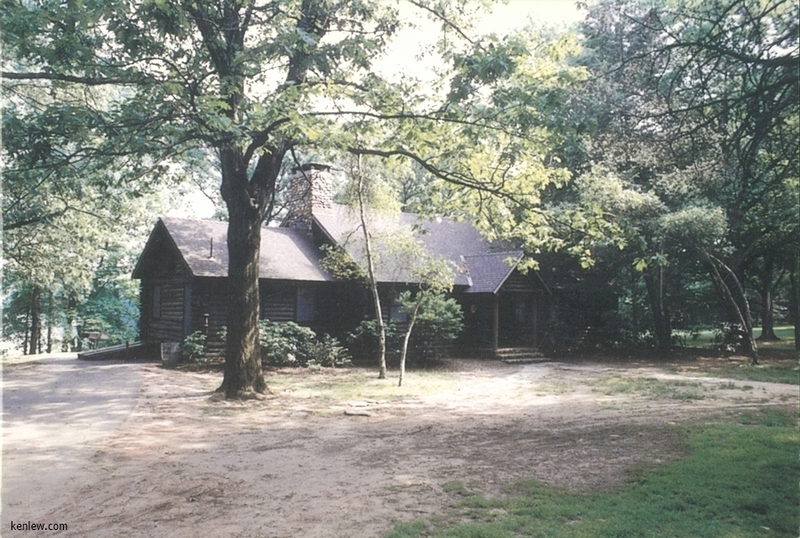 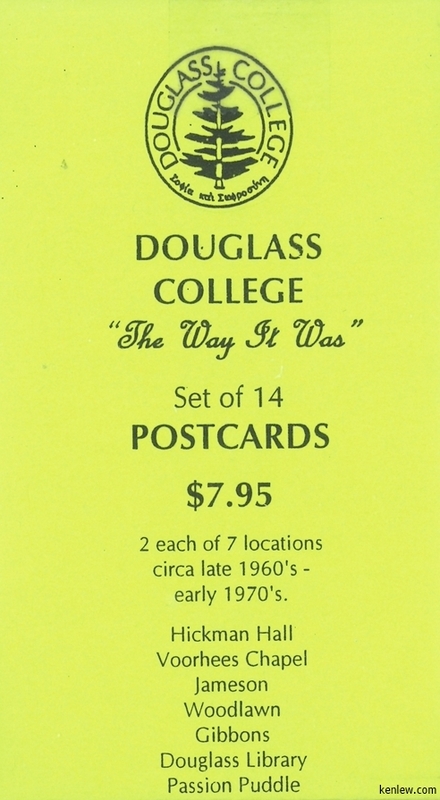 John Howard Ford Dormitory. 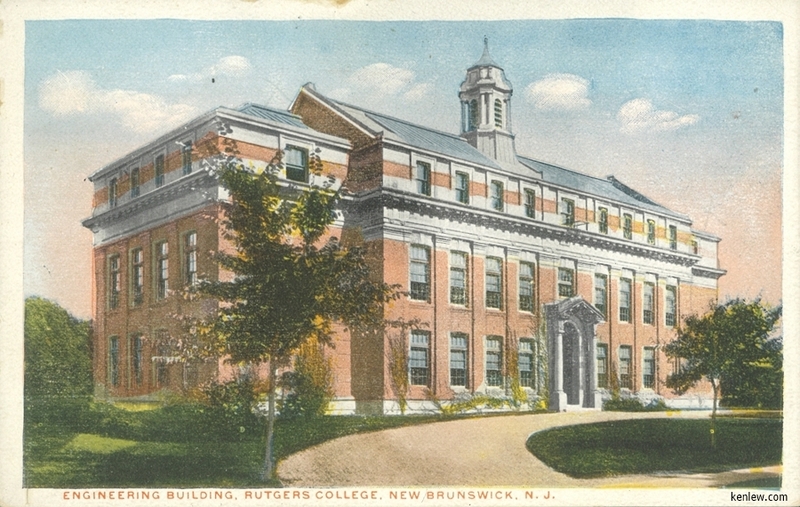 Engineering Building, Rutgers College, New Brunswick, N.J. 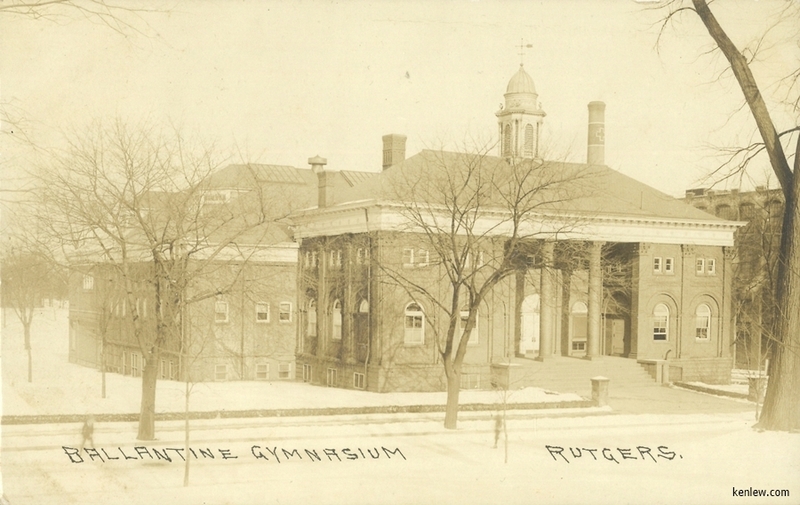 The Dairy Barn, Rutgers University, Cook College, New Brunswick, N.J. 08901 Rutgers College, Preparatory School, New Brunswick, N.J. Real Photo PostCard - Rutgers College Chapel 1906. 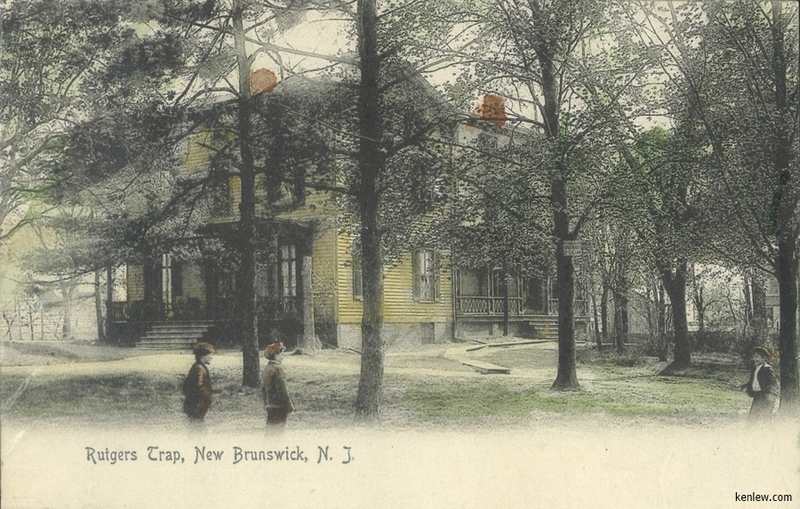 New Brunswick, N.J.